I have lots of great things to talk about, now that we're mostly settled in. I've just been having trouble figuring out exactly where to begin...and rather than starting at the beginning...what fun is that, I'll just jump around and hope you'll follow. but Grown Close to Home really sings to me. 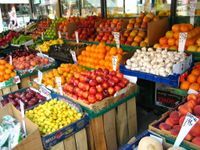 It's all about taking advantage of the season at hand and finding locally grown & raised food and isn't it nice to find a big chain of supermarkets going that extra mile and letting you know that they (and by extension, you) are supporting local farmers and producers. 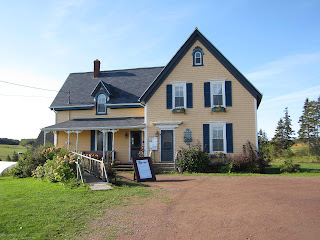 You'll find their local partners by region (here's one from Nova Scotia - Dean Haan Enterprises, on the site along with recipes, what's in season, and how to preserve it for the dead of winter. For this campaign, President's Choice has partnered with Bernardin, the canning & preserving gods. Their site is awesome, especially if you're just starting to can your own (and worried you'll be killing off your loved ones if you don't do it just right). 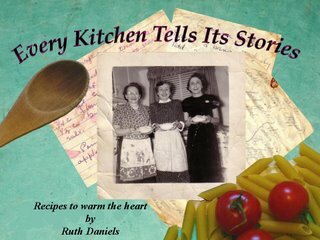 You'll find helpful tips for starting out and wonderful recipes. 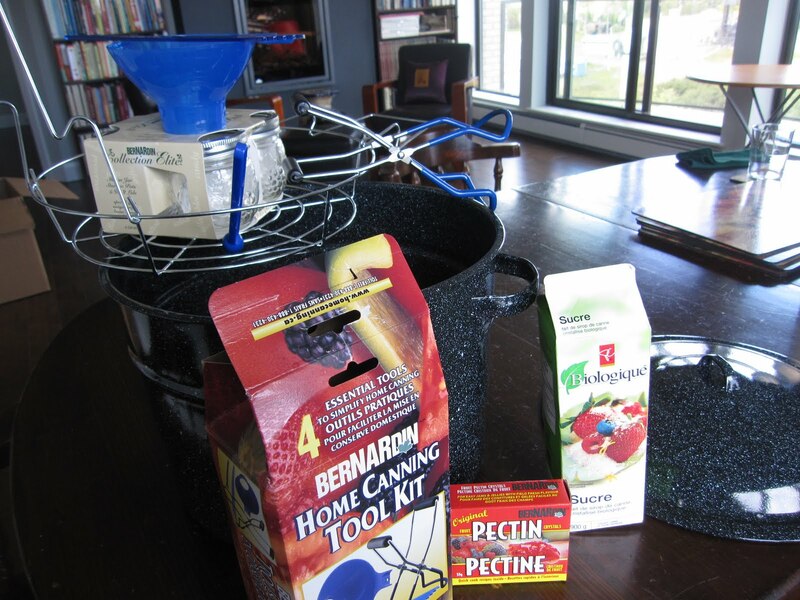 Just to give you an idea of all the tools you'll need for canning... the 21 quart canner, four cute little jam jars, special tongs to take them in & out of the boiling water, a wide mouth funnel for pouring cooked jams into the jars without making a mess, a magic wand to get rid of bubbles and measure when to stop the filling process, a magnetic wand to touch the hot inner lids and put them in place, pectin and lots of sugar (Here's the PC organic sugar from crystallized organic cane syrup. 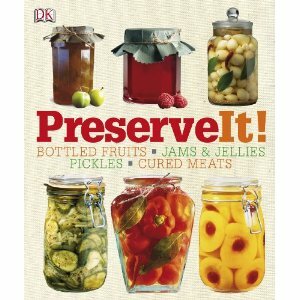 Preserve It! which is a fabulous encyclopedia with easy to follow instructions, great photo tutorials, and tons of recipes. Joanna my own gardening daughter (more about her later) and I already have a bunch of recipes earmarked from simple blackberry jam (there are wild blackberries on their property...if only little Dov will leave enough for us to work with!) to Rhubarb Chutney, some apple ginger marmalade and blackberry & apple conserve. That's just the start. 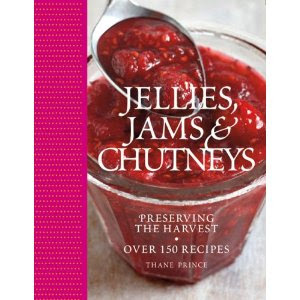 Jellies, Jams & Chutneys is a beautiful books with lots of awesome recipes based on the seasons. First up for us will be Carrot & Cardamon Jam. I've been dreaming about it for a month, waiting for Jo to finish up with camp and come back to the city. 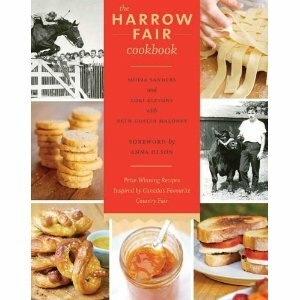 The Harrow Fair Cookbook: Prize-Winning Recipes Inspired by one of Canada's Oldest Country Fairs arrived the same day as my PC Grown Close to Home canning starter kit from Bernardin. 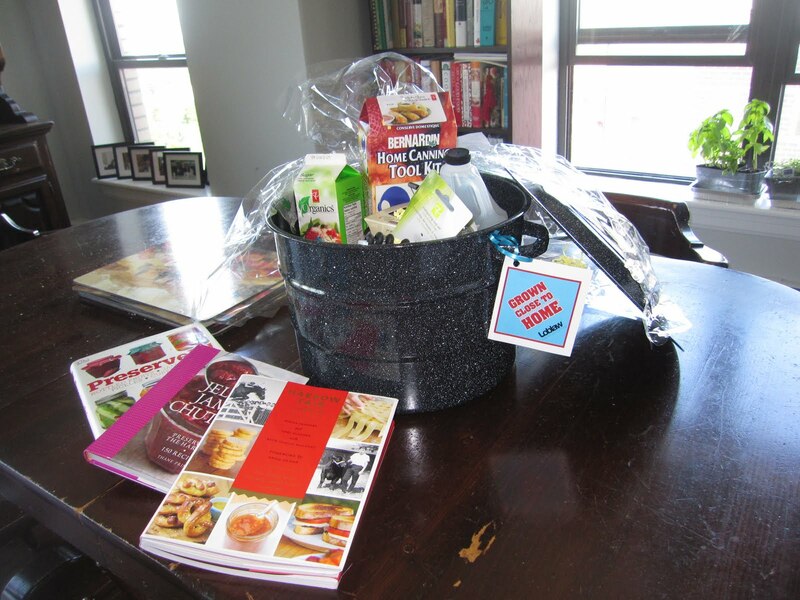 Seriously...wouldn't you want to make some prize winning jams, pies and so much more right in your own home? 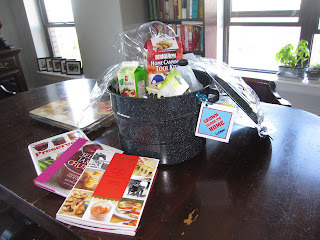 Time for me to drool through the books and plan future feasts. Soon I'll be spooning jam on some homemade bread and enjoying it along with the view from the balcony. I signed up Ruth so I hope I can get started soon when my goodies come. It has been years since I canned a thing. Val, canning is very new to me... always avoided it...didn't want to kill anyone with botulism. Since it's a brand new day, I'm excited to try.